The upcoming battle between former unified light heavyweight world champion Sergey “Krusher” Kovalev and Vyacheslav “Lion Heart” Shabranskyy already has fans buzzing. Now this much-anticipated event on Saturday, November 25 at The Theater at Madison Square Garden will also include another exciting bout in the light heavyweight division between Cuban Sullivan Barrera (20-1, 14 KOs) and former WBA Interim Light Heavyweight Champion Felix “Mangu” Valera (15-1, 13 KOs) of the Dominican Republic. The bout will serve as the televised co-feature of HBO World Championship Boxing telecast which begins at 10:00 p.m. ET/PT. This bout is presented by Main Events in association with Shuan Boxing Promotions, LLC. 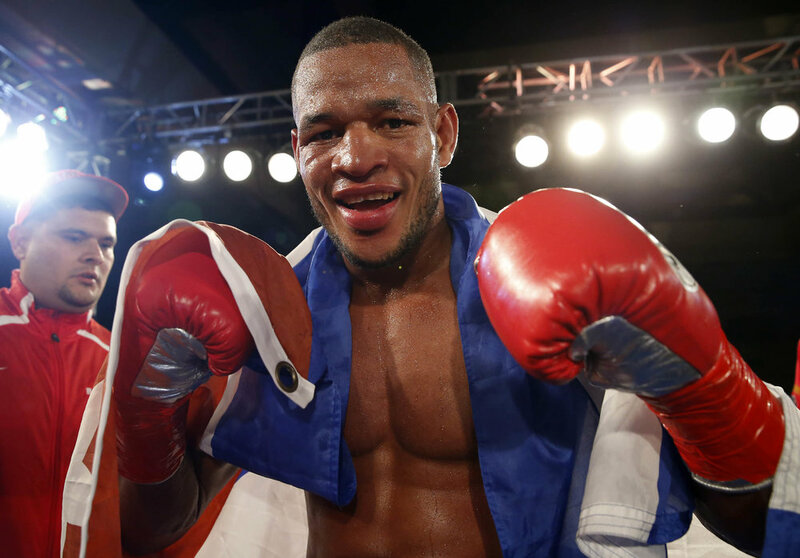 Sullivan Barrera, 35, is ranked number one at light heavyweight by the WBA and, if he can defeat Valera, will be first in line for Dmitry Bivol’s WBA Light Heavyweight Championship belt as the mandatory challenger. A former member of the Cuban National Team who defected from Cuba in 2009, Barrera made his professional debut in 2009 in his adopted hometown of Miami, Florida. He quickly made a name for himself in the light heavyweight division winning his first 17 bouts, with 12 of those wins coming by way of knockout. Barrera’s only career loss was last year against the recently retired former two-time super middleweight and unified light heavyweight world champion Andre “S.O.G.” Ward. Despite the unanimous decision loss to Ward, Sullivan stood toe-to-toe with the former pound-for-pound king for 12 full rounds. In his most recent fight, Barrera came back from a first-round knockdown to unanimously defeat Joe Smith Jr. and claim the WBC International Light Heavyweight Title. Valera, 29, from Santo Domingo, Dominican Republic is a knockout artist with 13 KOs in only 15 professional wins. He made his professional debut back in 2012 and won his first 13 contests with 12 of those wins coming by way of the stoppage. Last year, he travelled to Russian and upset Stanislav Kashtanov to secure the WBA Interim Light Heavyweight Title. In his next fight, also in Russia, he suffered his only career loss to the reigning WBA Light Heavyweight Champion Dmitry Bivol in Bivol’s home country. Since the Bivol bout, Valera is 2-0 with 1 KO. This will be his first professional bout on US soil. Kovalev vs. Shabranskyy is a 10-round light heavyweight fight promoted by Main Events and Krusher Promotions in association with Golden Boy Promotions. Barrera vs. Valera is a 10-round light heavyweight fight promoted by Main Events in Association with Shuan Boxing Promotions. Sosa vs. Castellanos is a 10-round super featherweight fight promoted by Golden Boy Promotions in association with Peltz Boxing. The event will take place at the Theater at Madison Square Garden in New York City, and will be televised live on HBO World Championship Boxing beginning at 10:00 p.m. ET/PT.